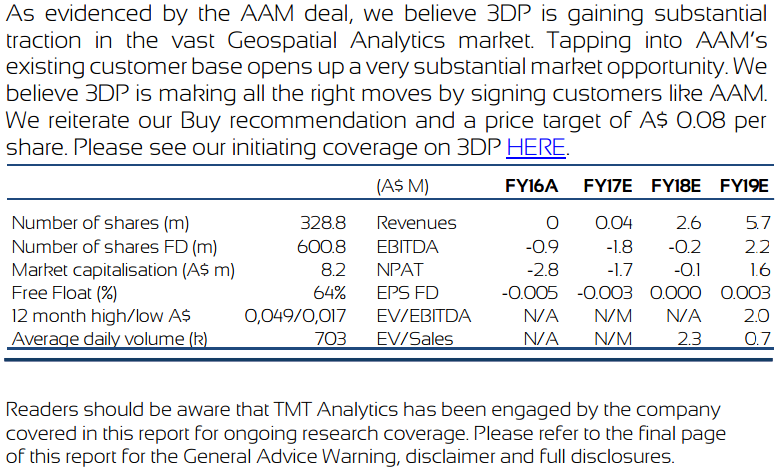 TMT Analytics has reaffirmed its buy recommendation and price target of 8 cents with regard to 3D geospatial data technology group, Pointerra (ASX: 3DP). Of course, it should be noted that broker projections and price targets are only estimates and may not be met. This came after TMT analyst, Marc Kennis examined the Memorandum of Understanding that 3DP negotiated with leading spatial information technology provider, AAM. Kennis sees the agreement which was negotiated in mid-June as evidence that 3DP is gaining substantial traction in the vast geospatial analytics market. On this note, he said, “Tapping into AAM’s existing customer base opens up a very substantial market opportunity and we believe 3DP is making all the right moves by signing customers like AAM”. Kennis noted that AAM was one of the largest providers of geospatial information services (GIS) in Australia with activities in Southeast Asia, New Zealand and Africa. 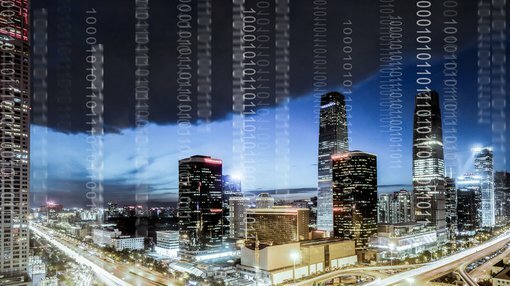 These comments support FinFeed’s positive take on the stock when we highlighted significant benefits stemming from the AAM agreement such as the importance of monetising 3DP’s technology through a mix of license fees and royalty payments, as well as building a recurring revenue stream. Developments such as these are likely to build confidence in the stock and lead to medium-term share price appreciation. With regards to the share price, it has been trading in the vicinity of 2.5 cents since April after retracing from a high of 3.9 cents in March. TMT’s target price of 8 cents as indicated below suggests there is share price upside of approximately 250% to Friday’s closing price of 2.3 cents. It should also be noted share trading patterns should not be used as the basis for an investment as they may or may not be replicated. Those considering this stock should seek independent financial advice. The retracement since March hasn’t been triggered by negative news. On the contrary, the company has entered reseller agreements and continues to deliver on its strategy which is well outlined in a video interview by 3DP’s Chief Executive if you click this link. Consequently, it wouldn’t surprise to see a share price recovery when the broader market stabilises.